That’s my littlest one safely soaking in the sun. I just love that picture. 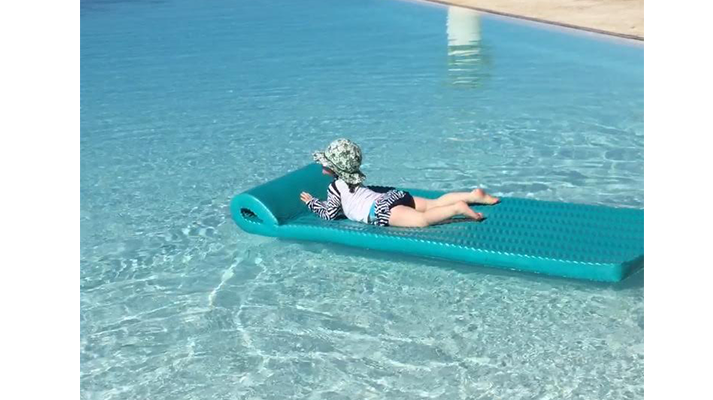 She’s not even two there but doesn’t she have the calm of an 80 year-old on that raft? She kills me. I take sun protection very seriously in my house. Both my girls know the routine: sunscreen stick on face, “sun lotion” all over body, SPF shirts and hats. Non-negotiable. Like me, my daughters are very fair and burn in a matter of minutes. I know how confusing the safety of sunscreen can be these days. The difference between what is organic, green and non-toxic can make your head spin. That’s why I’m thrilled to introduce new BeautyMama contributor, Melissa Schweiger Kleinman. I met Melissa after I fell in love with her book, Belli Beautiful: The Essential Guide to the Safest Health and Beauty Products for Pregnancy, Mom and Baby. Melissa’s beauty expertise runs deep—she has written about beauty for national magazines and websites, including Marie Claire, Shape and Women’s Wear Daily to name a few, and was the beauty editor for Sephora. I love Melissa because she names names—I just buy whatever she says. Her book is like an index of the best and safest makeup and skincare, head to toe. So much easier than shopping and searching the EWG! On the heels of a new report from the CDC that melanoma rates have tripled in the past three decades, sun protection has never been more important. I’ve been religious about using SPF 30 for over a decade now. But it was more for vanity back then than anything else. I realized my skin just looked better without all those brown spots. Plus my skin is on the paler side, so I always had to burn before I tanned, with the actual bronze lasting a matter of days before it peeled off. My daily SPF in my late 20s and early 30s was a chemical sunblock. It wasn’t until I got pregnant that I rethought which type of sunblock to use—mineral or chemical. Titanium dioxide and zinc oxide are considered mineral or physical sunblocks. They basically act as a mirror and reflect the UV rays away from your skin. The skin does not absorb these types of sunblocks, as they just sit on the skin’s surface. Chemical sunblocks work by converting the UV light into safe red light, but they do get absorbed into the skin. 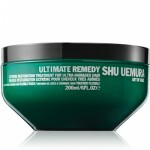 The benefit of chemical sunscreen is that it cosmetically looks better, leaving no telltale white finish on the skin. 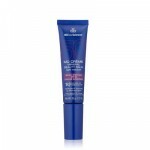 Face: MD Solar Sciences Mineral Tinted Creme SPF 30 Broad Spectrum UVA-UVB and Drunk Elephant Umbra Sheer Physical Defense. Body: Beautycounter Protect All Over Sunscreen SPF 30 and Elta MD UV Pure Broad Spectrum SPF 47. Babo Botanicals Sport Stick SPF 30 Clear Zinc Sunscreen. Body: Honest Company Sunscreen Lotion SPF 30. • Seek shade whenever possible. Find playgrounds that have shade tents for the kids. • Wear hats! I love this chlorine-resistant bucket hat from Coolibar. • Invest in some chic UPF clothing. I would buy the whole collection from Mott50 if I could. I especially love their lightweight cardigans. • If you’re applying a spray SPF, make sure to apply two coats. You never know how much is ending up in the air and not on your skin. • Make slathering on the SPF a non-negotiable for your kids. It should be as automatic as brushing their teeth in the morning. • If you let your kids apply their own SPF (highly recommend the stick kind), they’ll actually look forward to doing it. Melissa Schweiger Kleinman is the director of content and communications at Schweiger Dermatology Group and the author of Belli Beautiful: The Essential Guide to the Safest Health and Beauty Products for Pregnancy, Mom and Baby.